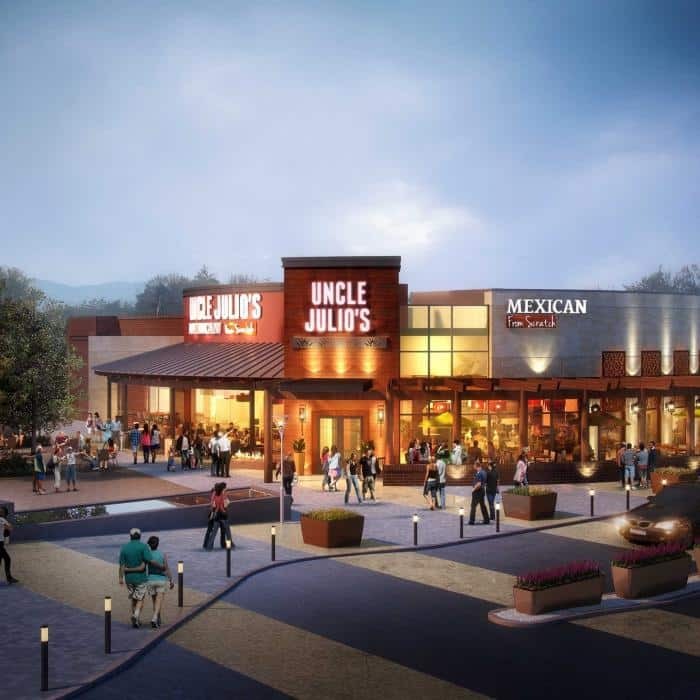 How would you rate your experience with Uncle Julio's Mexican Restaurant ? Uncle Julio’s was originally founded under the name Rusty Taco by Russell “Rusty” Fenton in Dallas, Texas, in 1986. Rusty Taco, now going under the name of just R Taco, was later sold to open a chain of restaurants known today as Uncle Julio’s Mexican Restaurants or simply, Uncle Julio’s. The chain expanded over the years to 17 locations, most of them in Texas. It was owned by Julio & Son’s until 2011 when it was bought by a private equity firm J. H. Whitney Capital Partners. 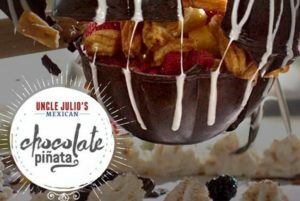 The company is known for its exotic drinks and desserts, including the “Chocolate Pinata” and the -321 Margarita, which uses liquid nitrogen and is made in front of clients at their table. In October 2017, the chain was sold to another private equity firm, L. Catterton, who says they have plans to expand the chain on a large scale. The company currently has 29 locations, with headquarters located in Irving, Texas. It is unknown at this time if the new owners have plans to move the corporate office. Question 1: What is the phone number for Uncle Julio's Mexican Restaurant? Answer 1: The phone number for Uncle Julio's Mexican Restaurant is (972) 554-6886. Question 2: Who is the CEO of Uncle Julio's Mexican Restaurant? Answer 2: The CEO of Uncle Julio's Mexican Restaurant is Tom Vogel. 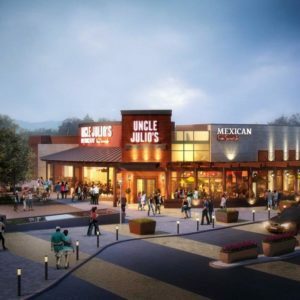 Question 3: Who founded Uncle Julio's Mexican Restaurant? Answer 3: Uncle Julio's Mexican Restaurant was founded by Rusty Fenton in 1986. We just had lunch for two at Uncle Julio’s on Camp Bowie in Ft Worth, TX… we spent 115.00 on meal for two and left a 20% tip. We had a coupon – given out by Uncle Julio’s, for 10.00 off meal … which had no expiration date. The assistant manager, Maria Garcia, came to our table and said the coupon was “no good” and no longer honored. When I explained it was given out by UJ at one of Liberty Mutual Insurance Co, corporate parties there at UJ restaurant, she just rolled her eyes … no good, so sorry, I asked for corporate office address and her name. She said she be right back. She never returned. I went to check in station and was told she was off duty and had left for the day. This is just for the record so you know who she treated us. And when you give a UJ coupon with No Expiration Date, please honor your coupon! You can call me at 214-906-XXXX. 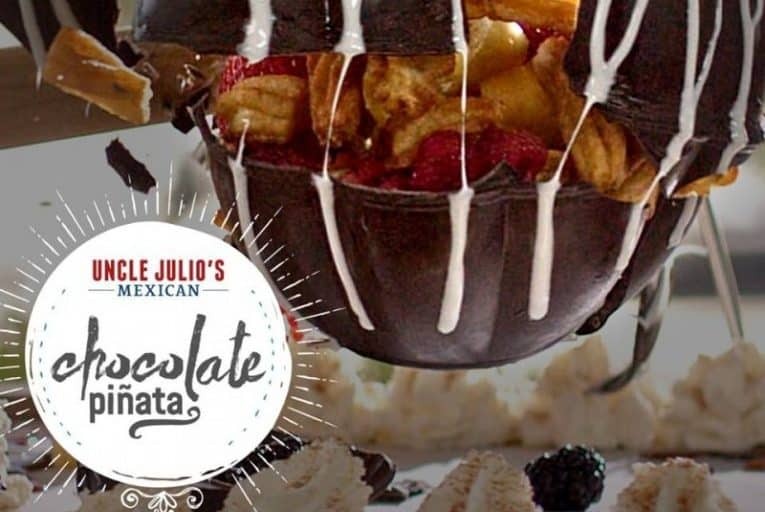 Want to make sure Uncle Julio's Mexican Restaurant sees your comment or complaint? Share your experience to get more attention.